To say this book has been a long time in the making would be an understatement. Way back in 2008, David Pagano taught an “Introduction to LEGO Animation” workshop at Brickworld Chicago. After it was over, David Pickett walked up and nervously introduced himself as “that guy that made that weird brickfilm that one time.” Ever since, we’ve been building a friendship and creative partnership using films and LEGO bricks (and awkwardly referencing ourselves in the third-person). Tips and tricks for designing sets—make three buildings look like an entire city! We’re excited to be working with No Starch Press as our publisher; they have a long history of publishing great books about the LEGO hobby. 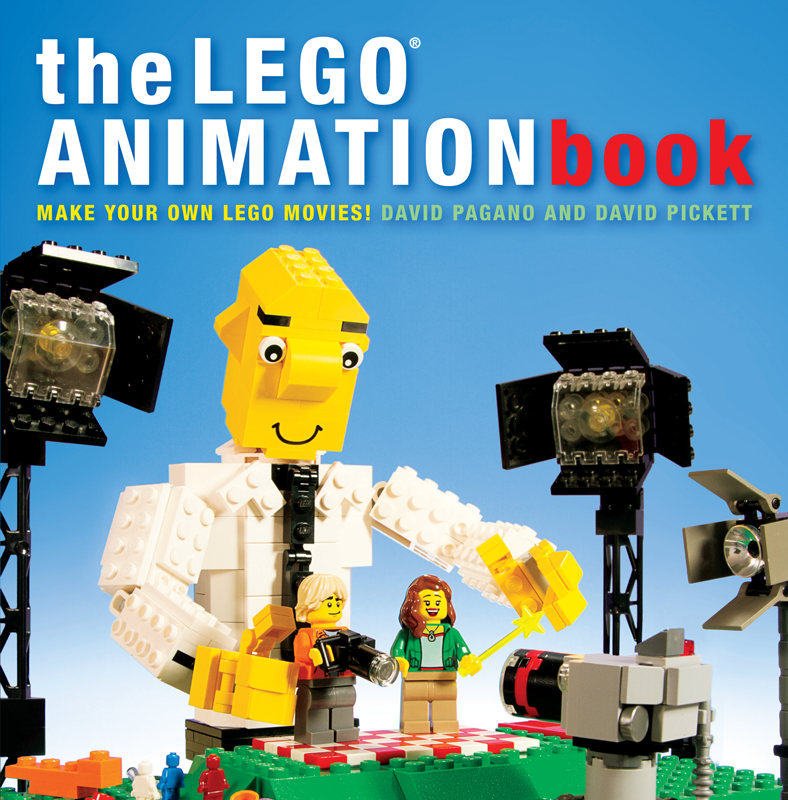 You can pre-order The LEGO Animation Book through their website. Our hope is that this book will inspire and educate a whole new generation of LEGO filmmakers. We can’t wait to feature their films here on The Set Bump. P.S. – If you noticed that our blogging decreased sharply in mid-2014, you now know why. We’ll be busy wrapping up the book over the next few months, but we’ll be back to blogging with gusto afterwards. 4 Responses to "We wrote a book!" Pre-ordered the PDF e-book version of this and got it last week. So far it’s a great book and my son (6) and I made our first 5 second animation at the weekend. I don’t have a great setup, cheap web cam and poor lighting, no back drop etc, and used the trial version of Stop Motion Pro to make sure it was good enough but the main thing is we had fun and my son is so excited to make another movie.